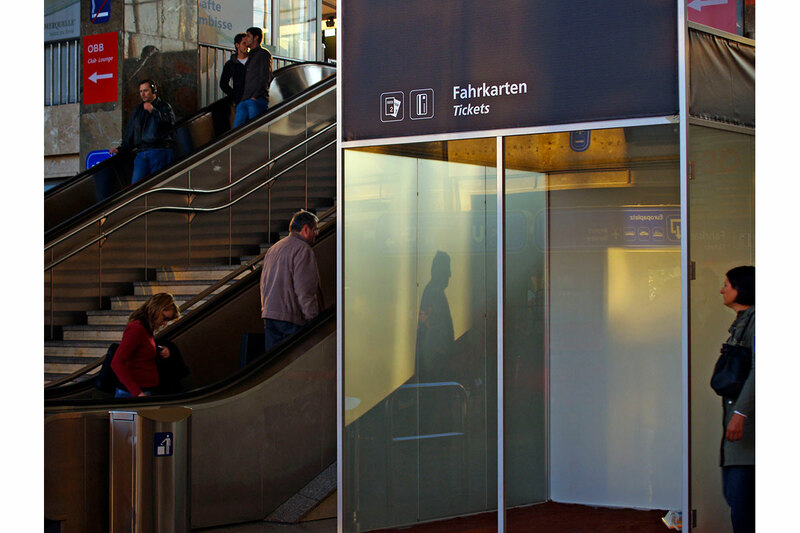 At Linz Central Station and Vienna Western Station, a showcase (metal/glass construction) is installed. 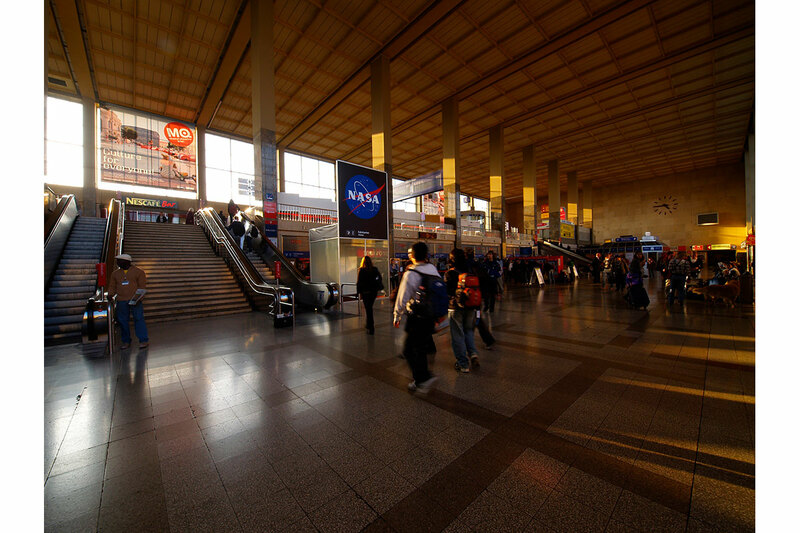 In measures corresponding to the usual counter or information desk at terminals and airports, it is situated near the ticket counters in the main hall of the station. 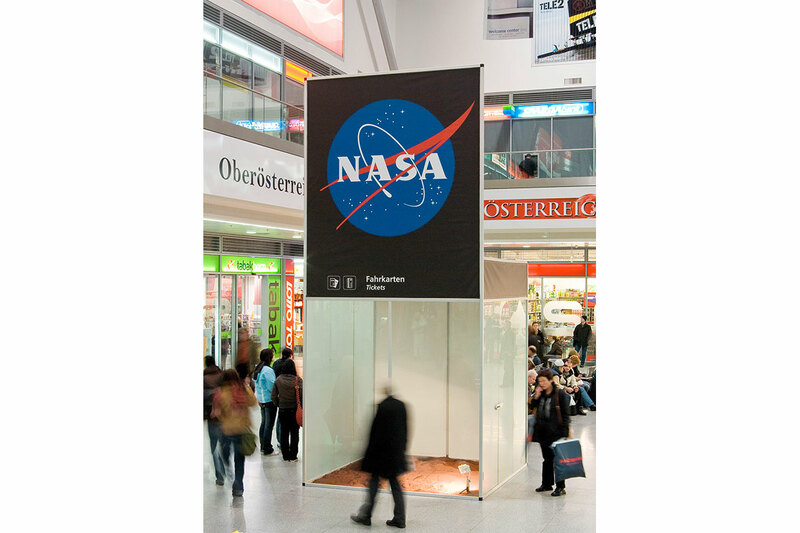 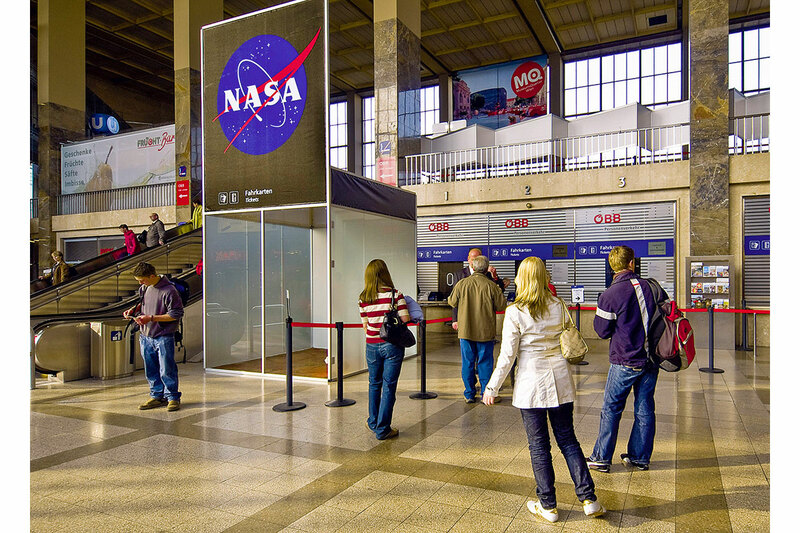 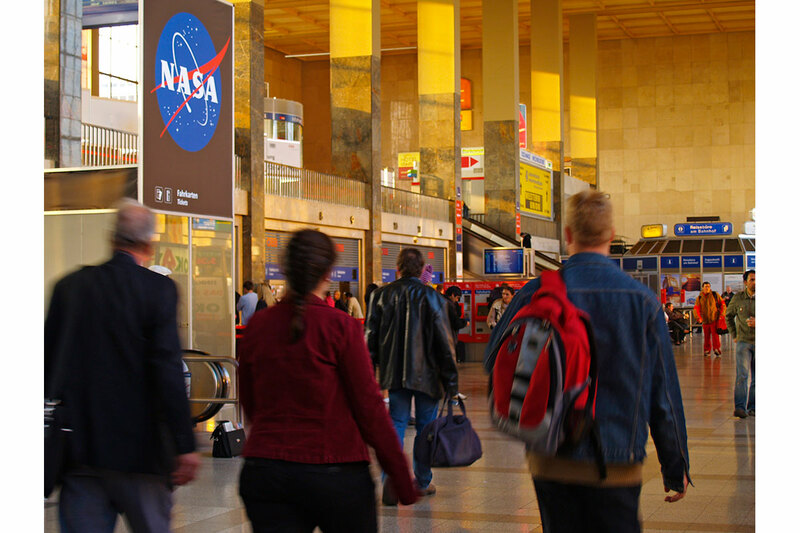 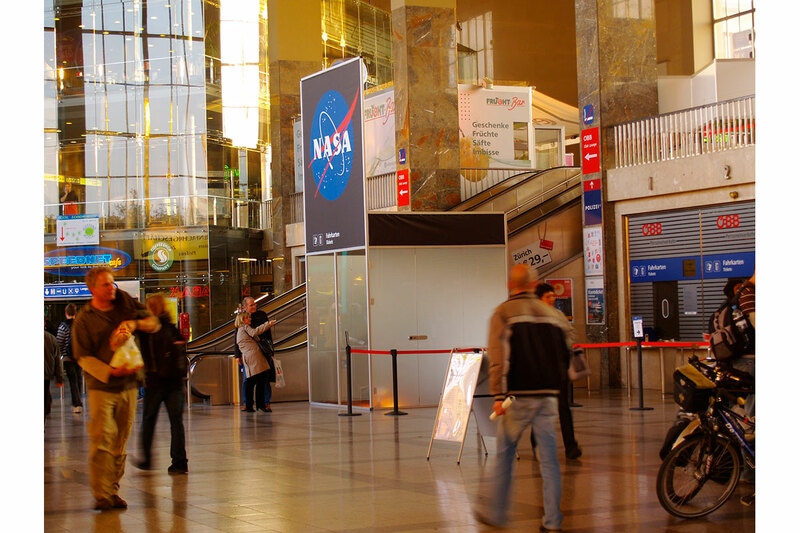 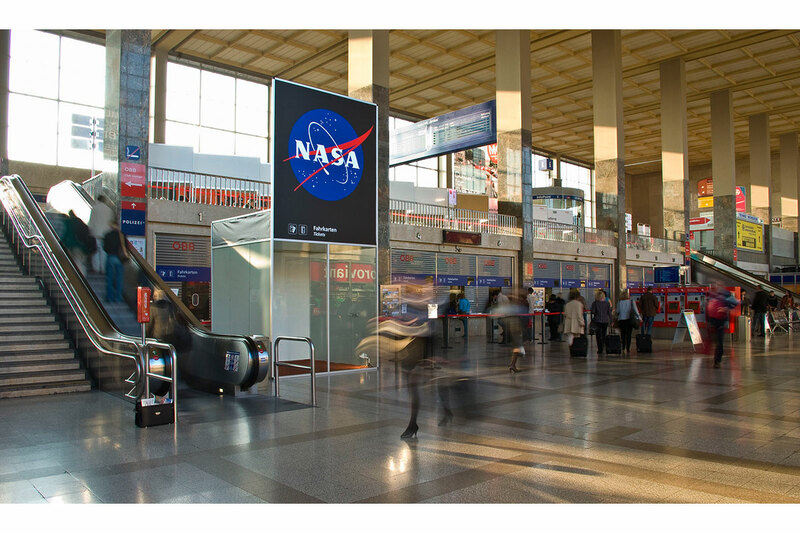 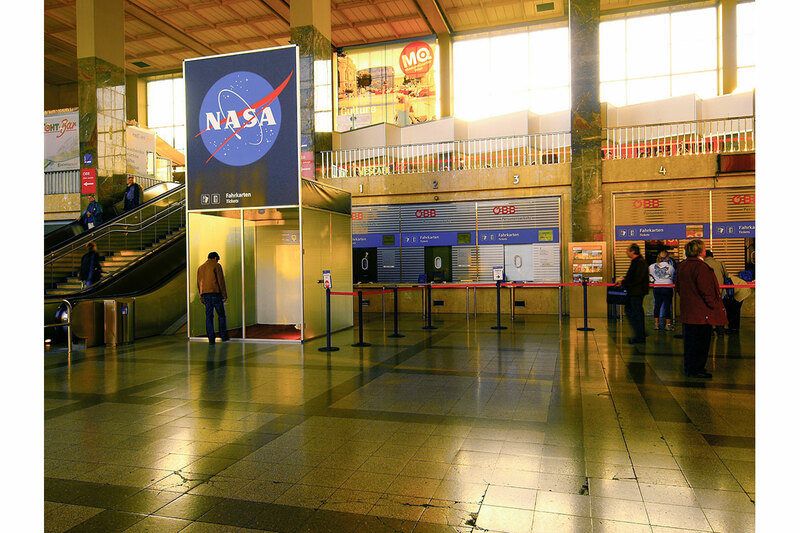 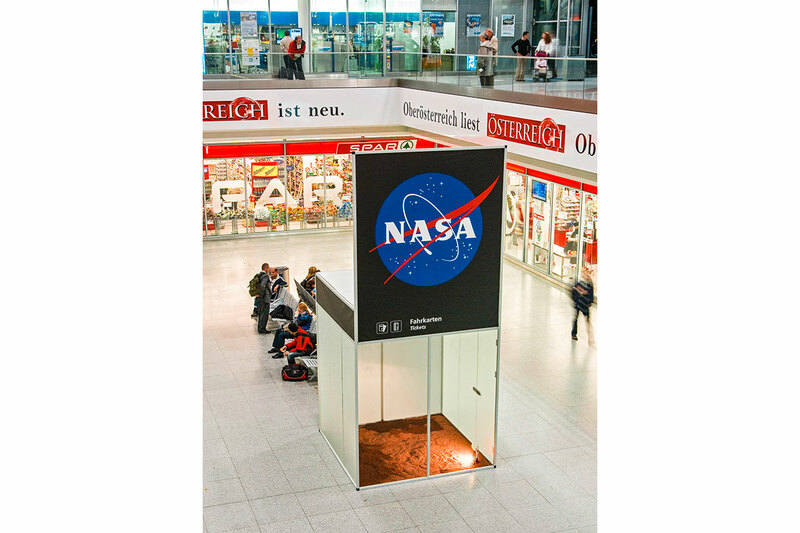 Below the prominently placed NASA logo, «Fahrkarten/Tickets» are advertised. 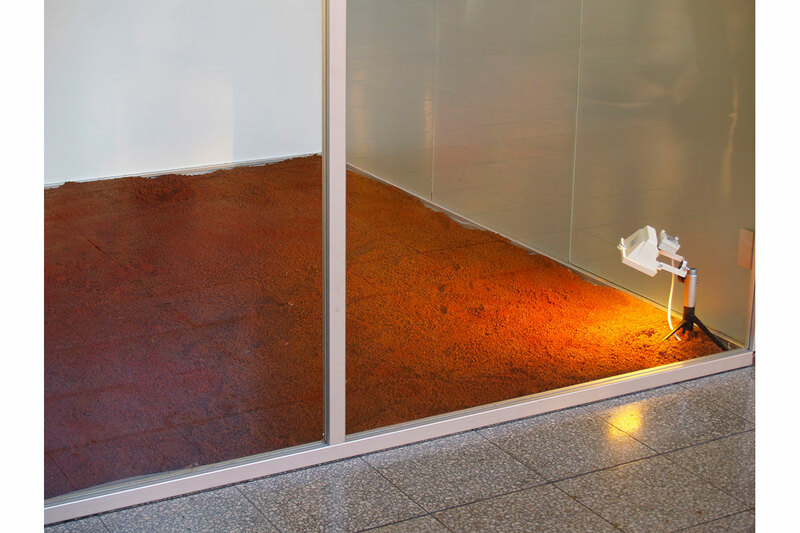 A glance inside the void of the box displays a floor covered with red soil, resembling pictures of the surface of Mars. 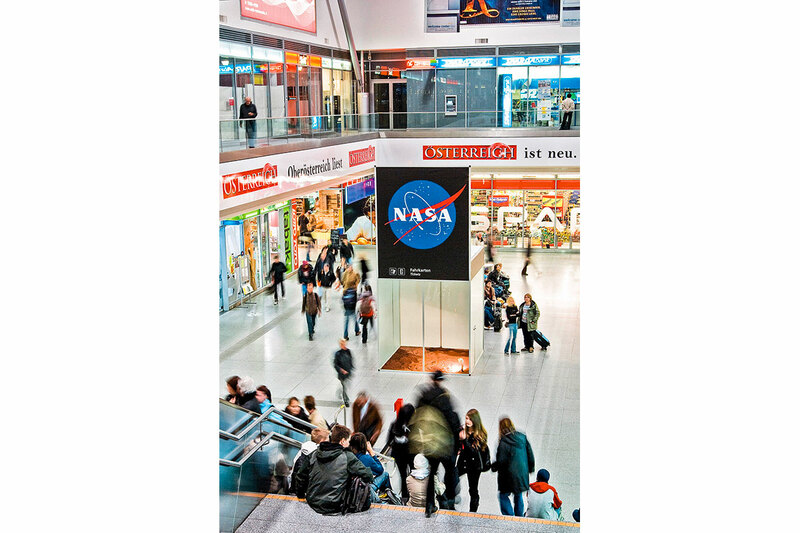 Connotations beyond the real are evoked.